CONCERN has been expressed that part of the main Downpatrick to Ardglass road is to be closed again for the next few weeks. A section of the road was recently closed for four weeks with the move coinciding with the prestigious Girls British Open Amateur Championship being held at at Ardglass. Roads officials are investing £625,000 to upgrade drainage along a section of the busy road which will also be resurfaced. The drainage work was completed recently, but the road is to be closed again between September 17 and 28 from 9am to 4.30pm daily. It will be open at weekends. Local councillor Dermot Curran has expressed concern that motorists and visitors to the area face more disruption and believes the resurfacing work should have been completed during the recent road closures. He plans to contact the Department for Infrastructure to ensure the resurfacing work can be completed as soon as possible. “The main road linking Downpatrick and Ardglass carries a high volume of traffic, with a lot of this associated with the village’s fishing industry. These road closures are disruptive and I am disappointed the drainage upgrade and resurfacing work was not completed at the same time,” continued Cllr Curran. 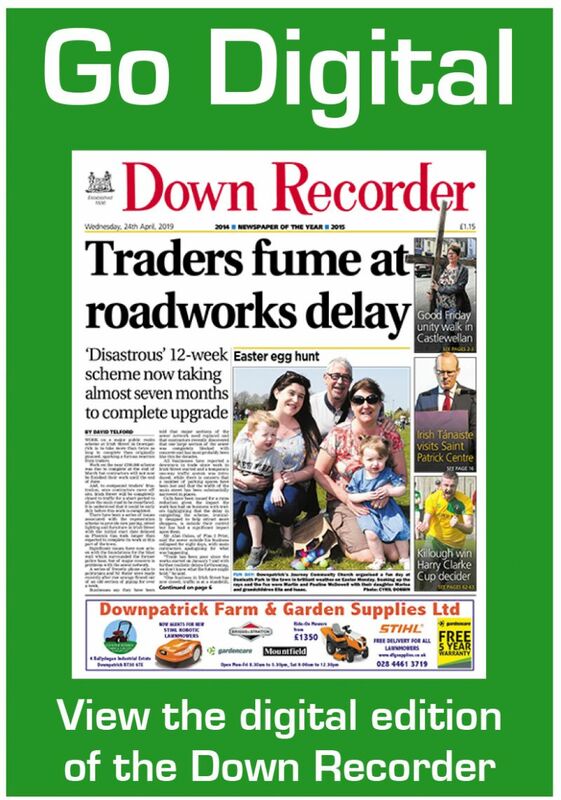 Also this week, Cllr Curran has revealed a similar situation has arisen on the Strangford side of Ardglass where a road was closed recently as part of planned improvements. A section of the road linking the village with Chapeltown was closed in mid-July to upgrade drainage systems and is now closed again. Resurfacing work is also proposed but there is no confirmation when this will start. Cllr Curran added: “All road improvement work across the district is welcome and roads officials deserve praise for their commitment to address routes which require investment. I just sometimes think that the execution of the schemes could be better to minimise disruption.